The New Zealand-based services specialist has maximised the tech giant’s internal channel changes in the form of One Commercial Partner (OCP) to transition from a local player into an international provider. With key customers on-board such as Parkway - the world’s second largest healthcare provider - LeapThought is a Kiwi partner profiting through the vendor’s new-look go-to-market strategy through the channel. 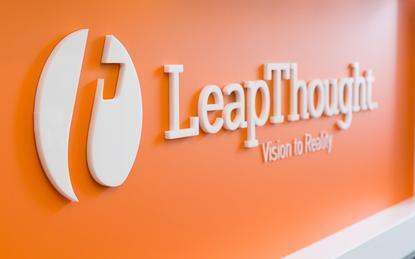 “LeapThought’s relationship with Microsoft is a strong and long-standing one,” said Ratnakar Garikipati, CEO at LeapThought. When speaking to Reseller News, Garikipati said “speed to market” is an important factor for LeapThought when striking a vendor alliance, in a nod to Microsoft’s expanding portfolio of platforms and technologies. For example, the provider’s flagship products, Fulcrum and Excelens, are built on Microsoft Azure and Office 365. “Our partnership allows us to continue to capitalise on innovations from Microsoft before they are available in the market,” Garikipati added. Specific to co-selling, Garikipati said LeapThought’s customers and partners have experienced “significant benefits” from greater access to innovation and expertise through Microsoft. “This has transformed the way they engage with their own customers, partners and suppliers, helping them achieve greater efficiencies, cost savings and be more transparent, compliant and consistent in the way they operate,” Garikipati explained. As a result, LeapThought is bundling solutions with the vendor’s products, offering exposure to a wide-ranging customer base, alongside the ability to leverage turnkey integrated solutions via the cloud. “We receive support with marketing and PR activities and early insights and access into Microsoft products,” Garikipati said. “We were working together on similar projects even before Microsoft formalised their co-sell plans for their partners and we continue to take part in a number of industry events together, helping raise the profile of our solutions. We also collaborate on research and development [R&D]." As LeapThought’s partnership with Microsoft deepens, the provider continues to expand geographically in parallel, driven by the creation of a Southeast Asia regional hub in Singapore. Furthermore, Garikipati has enlisted other Microsoft partners to co-sell products in Indonesia, Malaysia, the Philippines and Vietnam. “We are now extending our co-sell relationship to North America which is our next priority,” Garikipati added. As a result, Garikipati said LeapThought intends to make a “significant investment” in boosting sales and marketing capabilities to support expansion plans, while continuing to invest in R&D. “We have an ambitious roadmap for the future, planning products and updates with some very exciting features and capabilities that will keep us on the cutting edge of modern technological trends,” Garikipati said. Microsoft has generated more than 11,000 co-sell wins with partners during the past 12 months, equating to roughly US$5 billion in contract value through the channel. As reported by Reseller News, Azure accounted for US$2.8 billion of the overall contract wins, spanning the vendor’s entire cloud suite. The figures are the result of a shift in approach from the tech giant, with the new-look OCP roll-out designed to drive deeper collaboration between internal direct sellers and partners. “Microsoft has various partner benefits, such as free access to professional-level tools, cloud credits for test and development and being profiled on our partner site,” said Ryan Tarak, partner development manager at Microsoft New Zealand. Such marketing channels, according to Tarak, can help partners reach audiences globally, driving leads that can be managed, tracked and progressed in specific markets. “Microsoft also selects certain solutions to amplify as part of our marketing initiatives, including tweets and marketing emails to customers and featuring at events,” Tarak added. Delving deeper, Tarak said Microsoft provides a dedicated partner development manager (PDM) to work closely with partners, outlining how to capitalise on sales and ecosystem capabilities within the vendor’s network. The aim of such an approach is clear, to drive leads and net new customers for the channel. “This is a dedicated and managed programme, where our success is based on our partner’s success,” Tarak explained. “This is with the aim of helping Kiwi businesses leverage Microsoft’s connections to go global. “These co-sell partners are able to leverage Microsoft’s extensive global sales channels and expert marketing and development expertise to gain far greater exposure for their products and services than many Kiwi businesses could achieve without significant resources. As part of widespread OCP changes, Tarak said there is a larger focus locally to support partners in a way capable of creating repeatable solutions that can be driven through Microsoft’s extensive sales and marketing channels. “We are seeing a need for more out of the box solutions that can be deployed rapidly to meet customer needs,” Tarak added. From an ecosystem perspective, independent software vendors (ISVs) are already tapping into such expertise, with the offering open to any partner that has developed an IP repeatable solution suitable for market. “The type of partners we see today are mostly made up of ISVs or traditional systems integrators that are spinning out IP solutions,” Tarak said. “Part of our partner approach is to establish a strong set of channels that a partner can leverage to market their solution, be it self service or being supported by a partner manager. This is what differentiates us from others.